There’s plenty to do on the construction site. The excavator moves the earth, the crane loads it onto the truck, which carries it away. The builders could certainly use an extra hand. 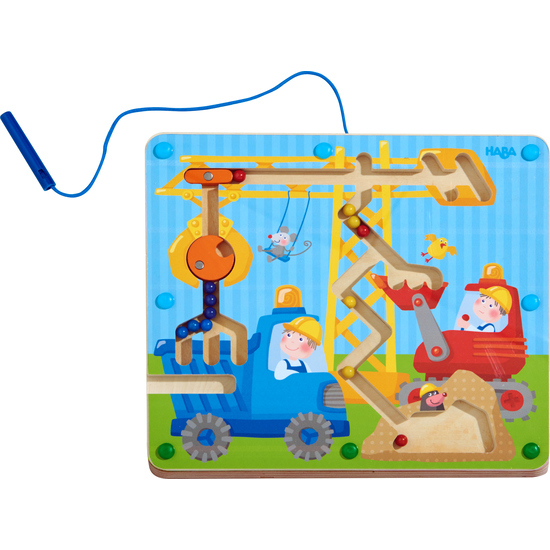 Using the magnetic pen, children distribute the colorful balls among the excavator, crane and truck. Mighty mole fun!